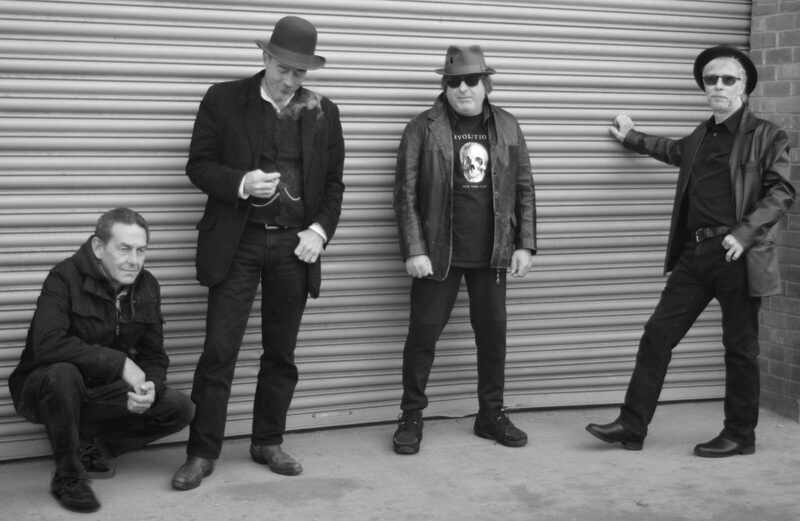 The Buzniks are a 4 piece rock combo formed in 2017 by Squeeze Bassman John Bentley. JB – Guitar Vocals Frankie Dann – Drums & Vocals Alan Betts – bass & Vocals Brian Hartley – Guitar, Harmonica, Slide Guitar & Vocals. JB’s story… Living in Hull a 16 year old John took over the HP payments on a Fender Start belonging to Mick Ronson, and used it in his first ever band ‘FLESH’ The groups Bassist Trevor Bolder went on to form the Spiders from Mars. During the 70’s John founded the Fabulous Poodles, and did stints with Quintessence, Nashville Teens and Geno Washington. He also backed mime artist Lindsay Kemp in a stage show, and toured the UK supporting the Mott the Hoople, Wishbone Ash, and the Ramones. Then on one crazy day in 1979 he auditioned for Suzie Quatro and for Squeeze. Recently JB recorded the theme tune to the BBC2 series ‘ From the Cradle ‘ starring Peter Kay, and toured Japan with Squeeze. He also broadcasts a weekly radio show on radio Scarborough. The Buzniks have recently recorded an album with 3Ms Music which will be released in 2018.